Grants are a form of financial aid that does not have to be repaid. 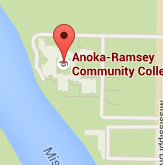 They can be provided by the federal government, the state of Minnesota, or private or nonprofit organizations. Students must complete the FAFSA form to be considered for a grant. Almost all federal grants and state grants are awarded to students with financial need. Most grants also require students to maintain satisfactory academic progress. As you search for gift aid, don't forget to research the wide array of scholarships available from different agencies, companies, civic organizations and individuals who support higher education. 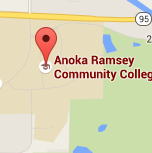 Many students leave Anoka-Ramsey nearly debt-free, thanks to college scholarships. The Pell Grant Program is a federal grant. For the 2019–20 award year (July 1, 2019 to June 30, 2020), the maximum award is $6,195. fifth day of each term. who have exceptional financial need and have not yet earned a bachelor’s or graduate degree. Student need and application timing determine the availability of funds. 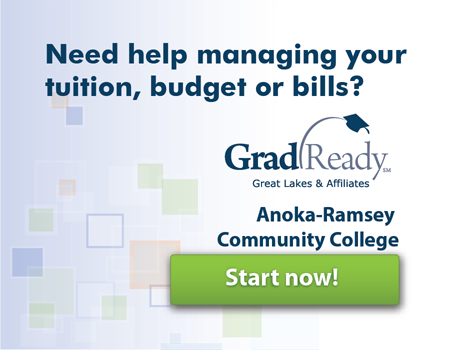 State grants help students from low- and moderate-income families pay for educational expenses at eligible Minnesota colleges or universities. Students must be at least 17, residents of Minnesota and graduates of a secondary school/high school or its equivalent. The state GI Bill® provides financial assistance to eligible Minnesota veterans and service members, as well as eligible spouses and children of deceased or severely disabled eligible Minnesota veterans. Full-time undergraduate or graduate students may be eligible to receive up to $1,000 per semester or term and part-time students may be eligible to receive up to $500 per semester or term. This program helps low-income students with young children pay for child care while the student attends classes. Funds are limited and are awarded on a first-come basis. not be recipients of Minnesota Family Investment Program (MFIP). be enrolled 6-15 credits per term (undergraduates). be an undergraduate or graduate student who has been enrolled full-time less than ten semesters or the equivalent. Students who have withdrawn for active military service after December 31, 2002 are given an extra term of eligibility.